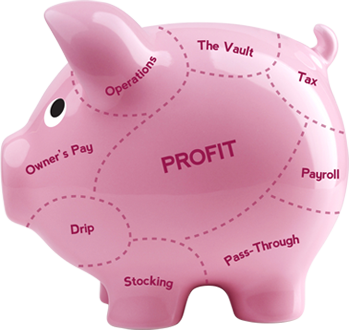 We are accredited Profit First accountants who know how to put it into practice for Australian businesses. Why Are We Profit First Accountants? In business, Cash is KING. There is no getting around it. To truly succeed in business, you need to master how you use your cash. Phil spent the first ten years of his accounting career working with business owners who had no control over their cashflow and who basically ‘hoped’ to make a profit. They were never really sure if they had made any money until the end of the year. “Where the hell am I going to find $25,000? We can’t afford that! If we made all that profit where did the money go? What do we do now?” panicked the business owner. Phil would watch the client go from elation to panic in a split second. His stomach sank at each conversation, and he knew that there had to be a better way for his clients. When Phil took the leap and started Panic Atax, one of the first things he did was start searching for a tool to help our clients solve this problem. That was when he came across Profit First by Mike Michalowicz. By the time Phil got to the end of this book, he was sold. There was no doubt in his mind that this system would help our clients more than any traditional accounting report. Sure, a few tweaks would be needed to customise the system for Australian businesses, but fundamentally he could see this working. Phil joined Profit First Professionals the next day, and we’ve been working with Mike Michalowicz and his team to Eradicate Entrepreneurial Poverty ever since. Panic Atax was the first Australian accounting firm to be fully certified in the Profit First system and we continue to be an industry leader. Through our online support groups and one-on-one support products we have helped hundreds of Australia businesses implement Profit First. Our Profit First Australia – Profit Blueprint report is among the best Profit First related guides offered anywhere in the world. How Does Profit First Work? My previous accountants were very hands-off when it came to planning and communicating with me, apart from their annual newsletter that told me it was ‘tax season’, and their bill, I just never heard from them. The final straw was a GIANT tax bill I was left to deal with alone. I feel like we should have been planning for something this dramatic. I never really knew if my family and I would have enough money ‘left over’ to survive each month. GST and Tax planning wasn’t on my radar. Ever. As the sole breadwinner for my family, planning is everything! As a small business owner, planning is ESSENTIAL! We now PLAN, everything! All financial activities have been proposed, discussed, planned, implemented, refined, adjusted, tweaked and improved upon, every time we speak. And we speak as often as I need too. (PLUS at least quarterly now that things are ticking along) Which is almost 4x as often as I spoke to the previous crew! Profit First has become a part of my life and business! Book a call with Phil, and if you’re a good fit for each other, do EVERYTHING he says! He’s been a brilliant + profitable addition to my business success. 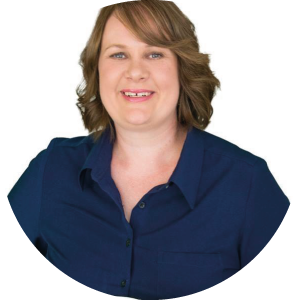 Get help to implement Profit First – then work the system – and you’ll be rewarded with the lifestyle your business was always supposed to deliver to you and your family. Are you ready to accelerate the implementation of Profit First in your business? 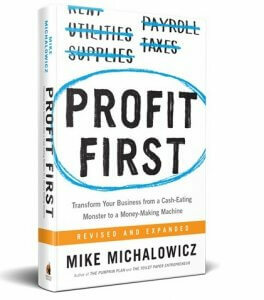 Our Profit First implementation support packages offer an effective combination of the Profit First book by Mike Michalowicz and a suite of additional techniques and tools we have developed to enable the system to work seamlessly in Australian businesses. We offer three levels of implementation packages designed to suit your support needs and your budget over the one-year implementation plan. Fees for the packages depend on the complexity of your business (e.g. a business with 300 employees needs different levels of support than a business with just five employees). Get started on Profit First!